Quality Mid Sussex Landscape Gardeners. Established in 1983. Home Areas we cover Diary Contact Ian Our history Our Facebook Projects What we do! 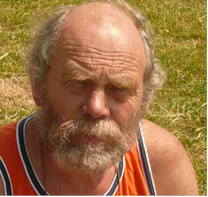 Ian, the Sussex Landscape Gardener, welcomes you to our humble landscaping website! We are quality Landscapers at a realistic price. We Specialise in natural and contemporary Indian stone ( Raj Paving), Steps and specialist brickwork. Turfing, Brick walling, fencing and ponds all undertaken. All Gardens Great & Small Landscape Gardeners are a family run business established in 1983. We are known for our landscaping and garden design. 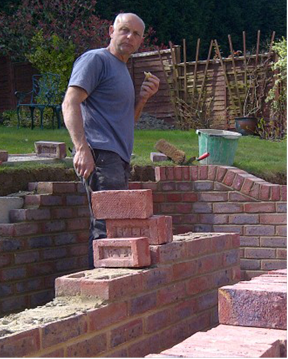 Our work load is fairly steady, we can fit in large or small projects fairly rapidly if required. We are competitively priced and complete works to a very high standard and are sensitive to your neighbours! You won't find any loud music or any abusive language emanating from our works! Specialising in the complete art of landscape gardening. Rockeries, Waterfalls, Gates, Fencing, Paving, Driveways, Pergolas, Decking, Patios, Steps, Walling... Peter is an excellent brick layer, paver, etc etc and Ian keeps Peter fed with materials and the jobs smoothly running! We cover Sussex and beyond. Feel free to browse the website and make use of the services. You will find our photo gallery, diary pages from All Gardens Great and Small, our projects page. Initially these links go to our old site. But gradually as we rewrite the site all will be new! This Site is owned and created by Ian Salmon of All Gardens Great & Small Landscape Gardeners based on The East Sussex & West Sussex Borders of the UK. We aim to promote good landscaping in Mid Sussex!! We cover Brighton, Hove, Worthing, Burgess Hill, Cuckfield, Haywards Heath, Lewes, Hassocks, East Grinstead, Crawley, Eastbourne, Uckfield and all villages in between! We have also been working in Surrey and Kent recently. We don't mind travelling as long as we can obtain our materials nearby! We tend to use Covers, Parkers, PN Paving Supplies, Wickes, B&Q, Beacon Fencing, DFL landscaping Supplies and Hills Turf for most of our supplies! But out of area we can use any available merchants! Contact Ian on 01273 890747, 01444 848177 or 07973 865850 and leave a message! We are also on INSTAGRAM if you would like to follow us and even add photos of projects that we have completed for you.